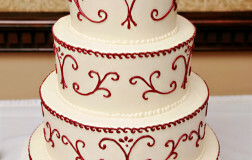 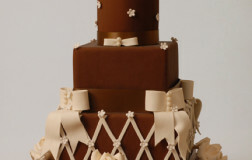 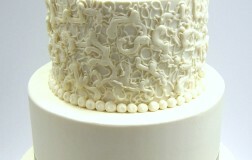 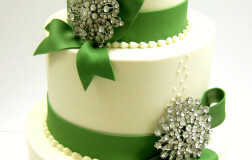 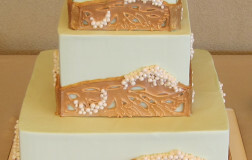 The elegance of the cake is very profound. The scroll work is delicate; the handmade flowers are striking…add a incredible pop of color. 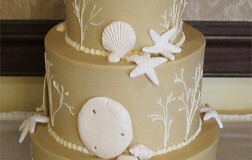 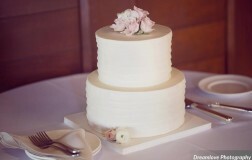 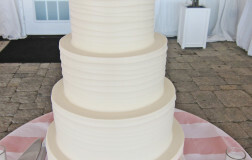 This cake makes a beautiful presentation at this Ocean Cliff wedding. 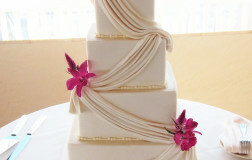 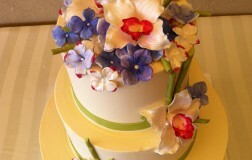 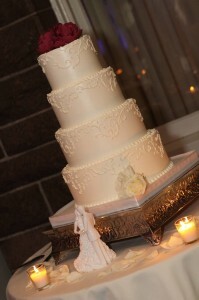 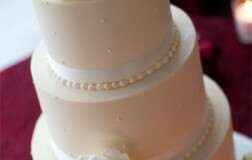 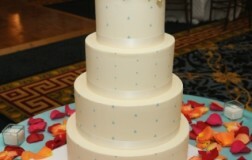 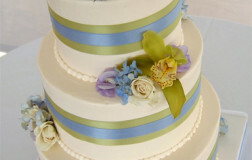 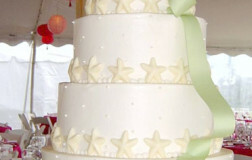 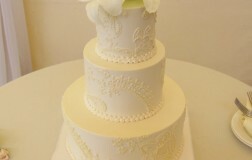 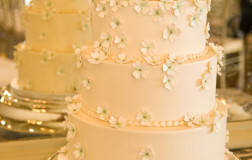 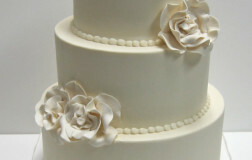 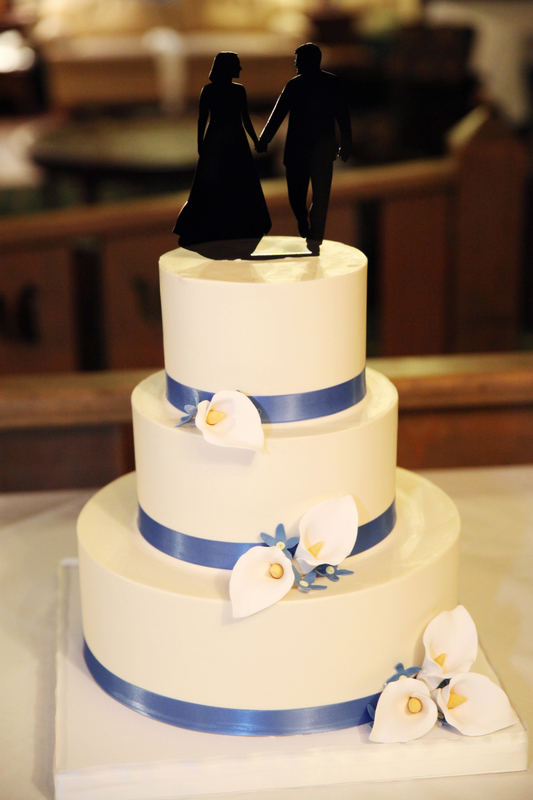 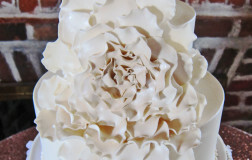 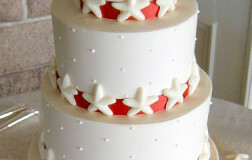 Flowers on the top tier are handmade and edible.